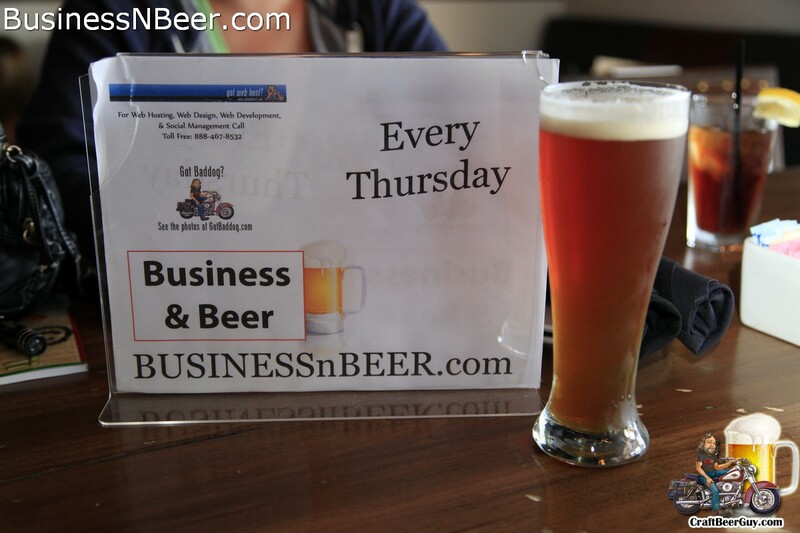 These photos are from the Business & Beer networking event for August 2013 which was held Thursday evening, August 8 at The Brewery at Abigaile brewpub in Hermosa Beach. 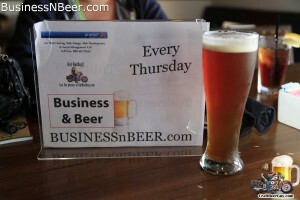 Business & Beer is a small business networking group that my girlfriend and I co-founded in July 2012. When we initially started it we met every Thursday at a different microbrewery, brewpub or gastropub in the South Bay area. After a year of weekly meetings we decided that it would be easier to maintain the group if we changed it to once a month and so far, it looks like this was the right move as our attendance levels are back up again. 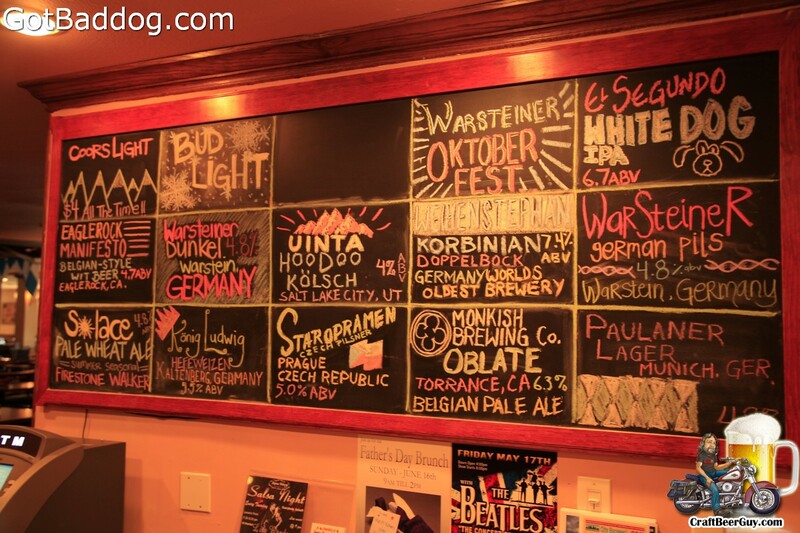 I have been fortunate enough to spend a considerable amount of time traveling around the United States and in that time I have found numerous brewpubs. 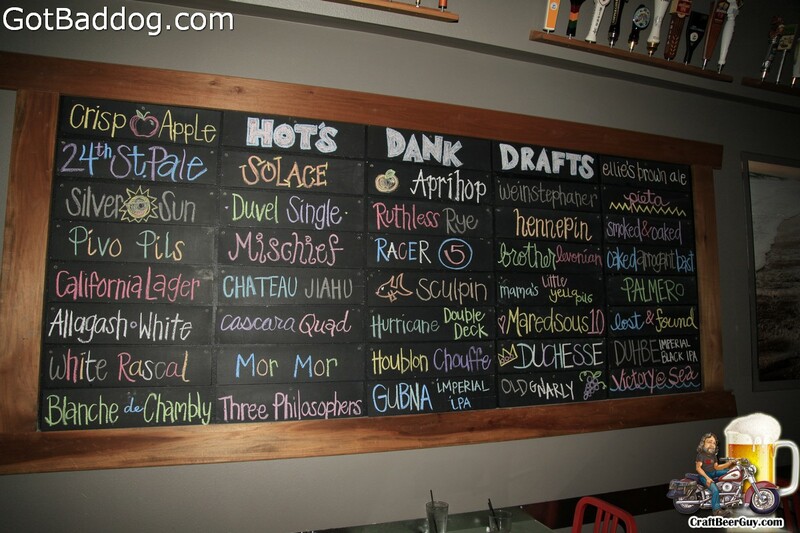 For definition sake, a brewpub is a brewery that also serves food. Some of brewpubs serve pretty basic fare, like cheese or hummus and pita; others are pretty upscale and rival any restaurants in their price range. Of all the brewpubs I have visited, The Brewery at Abigaile in Hermosa Beach is the brewpub that sets the bar for brewpubs in my opinion. During American Craft Beer Week in 2012 we spent the week researching local brewers and locations to find locally brewer beers. As I had spent most of the prior few years on the road, I really did not know what was going on in my own back yard. When I think about it, the microbrewery tasting rooms I spend so much time at in the last year were not even around 18 months ago; Naja’s was really the only place I knew offhand. 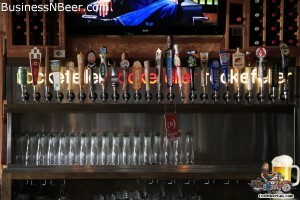 One of the discoveries we made was The Rockefeller gastropub in Hermosa Beach. 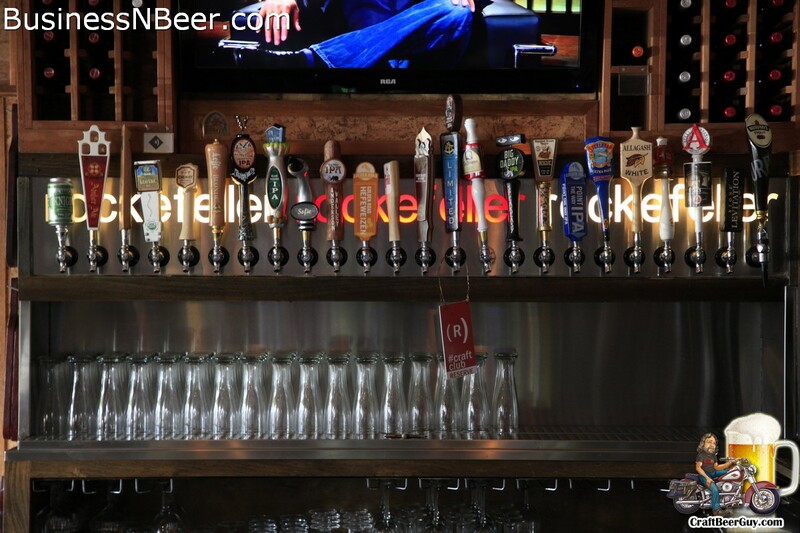 The Rockefeller is located on Pier Avenue in Hermosa Beach and is what I would consider one of the better gastropubs in Hermosa Beach. They have 24 taps with each one pouring a quality craft beer from as close as neighboring El Segundo to as far away as Belgium. The one consistent thing I can say about my experience with The Rockefeller is that they have always had a very nice tap list. They do offer flights, but they are preset; if it is slow and you are nice, you might be able to get a customized one. Their food menu changes on a fairly regular basis; some things have been amazing, others have been okay. It has a nice atmosphere and children are welcome. The Rockefeller always has some kind of special going on, whether it is their Happy Hour or a special beer or wine and food pairing. They have a little parking in the back, but when I say a little, I mean a very little. Otherwise there are meters on the street. On Sunday, Tanya and I headed to Hermosa Beach for the Fiesta Hermosa; an annual street fair they have had twice a year (Memorial Day and Labor Day) every year since 1972. It started off as an arts and crafts fair, but the food (and people watching) was always the big draw when it first started, as far as I was concerned. Tanya had never been so we walked along The Strand until we got to 10th Street, where we entered by the beer garden. I went in the beer garden with the intent of finding all of the local brewers in one spot; sadly, there were no local brewers represented. The closest thing to craft brew they had was Sierra Nevada and Angry Orchard, I was really surprised. While we were walking around the food court I saw a booth for a place around the corner that offered 54 beers on tap; I made a mental note but headed over to Mediterraneo instead as I have heard about them for a while, but had never made it over for some reason. 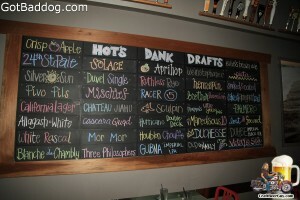 When I first heard about Mediterraneo I was told that it was a tapas bar with a great craft beer list. When I looked at the tap list displayed outside it said they had Pliny the Elder, so I knew what I wanted. Tanya figured she could find something she wanted. When we got inside we discovered a family friendly restaurant with a very nice tap list; they did not have and Pliny, but I was told the outside menu is not kept up to date. While I kind of had my heart set on that Pliny, I was able to find a couple substitutes; primarily a Palate Wrecker and a Jolly Pumpkin Maracaibo Especial. We tried a few of their tapas; the hummus and caprice salad were good, the lamb skewer was kind of fatty. It was a pleasant experience though and I am sure we will return.